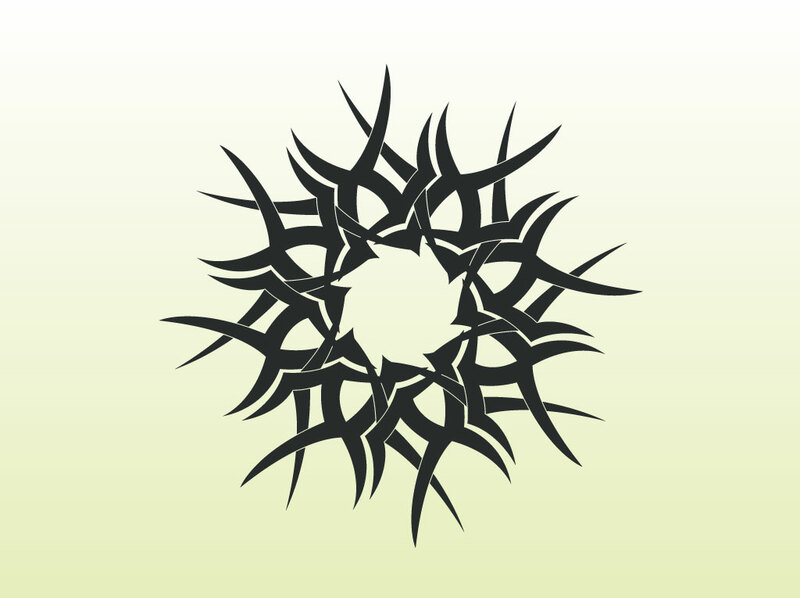 Inked vector rings of stacked tribal thorns in gray set on green gradient background. Tribal art is highly popular because it can be symbolic for pain or just a decorative vector design element. The thorn ring can be a spiritual symbol or a simple decoration. These Celtic influenced vector graphics are a free download for your tattoos, t-shirt designs and collage art. Tags: Celtic, Christ, Decoration, Graphics, Ink, Pain, Roses, Symbol, Thorns, Tribal.